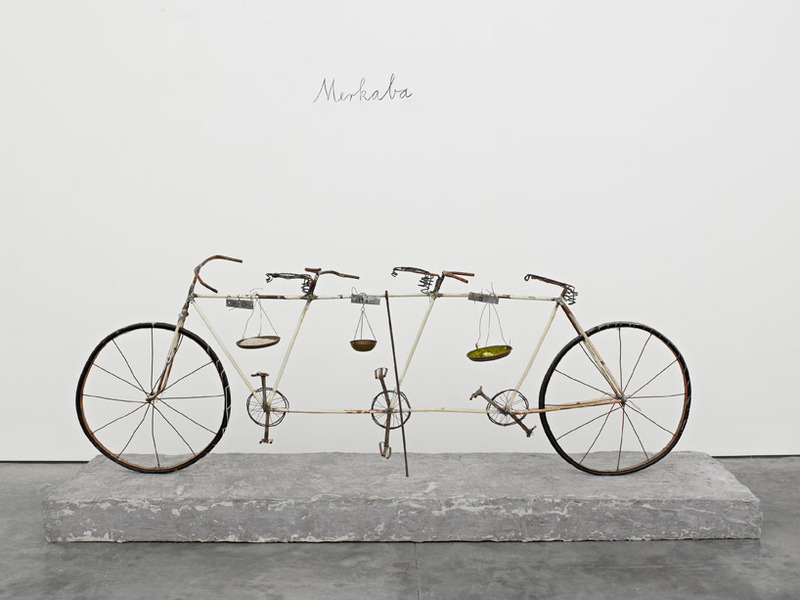 german-born and france-based artist anselm kiefer presents ‘il mistero delle cattedrali’, a 11,000 square foot installation at the white cube bermondsey gallery in london. the exhibition includes works from various times within the artist’s four decades as a creative force and explores the idea of alchemy. the show is given the name ‘il mistero delle cattedrali’ due to the closely linked subject matter with that of a book in the 1920’s by a french alchemist and esoteric author under the pseudonym fulcanelli by the same title. many of the featured pieces investigate themes of religion or mythology, current political functions and the chauvinism existent within the period of nazism in his homeland’s history. his mixed media exhibition is comprised of several sculptural and painted works formed from a variety of materials. the grand-scale works include the use of terracotta, oil, rubber, salt, paint, lead, resin, copper, plants and steel in order to convey his apocalyptic vision. ‘dat rosa miel apibus’ has a fragility which is enhanced by the his choice and orientation of material upon each works surface. the massive painted work by keifer, having been mostly formed in a neutral to dark color palate, incorporates materials such as lead, dried flowers and broken glass, in order to assist in the expression of his unique artistic language. this results in a hazy, nihilistic, or temporary quality.